Scramble is limited to 144 golfers. Reservation deadline is Friday, May 17, 2019. 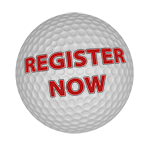 Registration fees include: lunch, 18 holes of golf, cart, greens fees, golfer gift, complimentary soda/water on select holes, dinner and surprises. Dinner only: $35 per person. Funds from the Foundation Scramble allow students to stay in school and update their skills using the latest methods and technology. Your support enables our students to become valued employees in area companies and the community. For more information contact: Celeste Henken at henkenc@gtc.edu or (262) 564-2644.